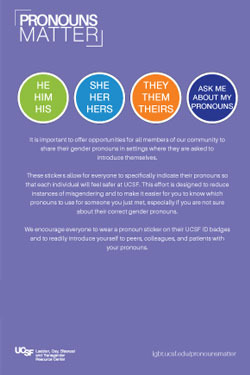 International Pronouns Day seeks to make asking, sharing, and respecting personal pronouns commonplace. 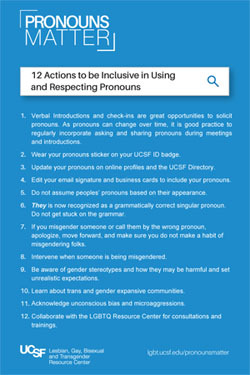 Referring to people by the pronouns they determine for themselves is basic to human dignity. Together, we can transform society to celebrate people’s multiple, intersecting identities.